Oreos Pops?!! We love Oreos! When they were on sale, I think we went through at least one package a day, if not more! The double stuff ones became our favorite. These cookies taste good all on their lonesome. They are also delicious dipped in milk. (I believe what the package says – they really are milk’s favorite cookie!) 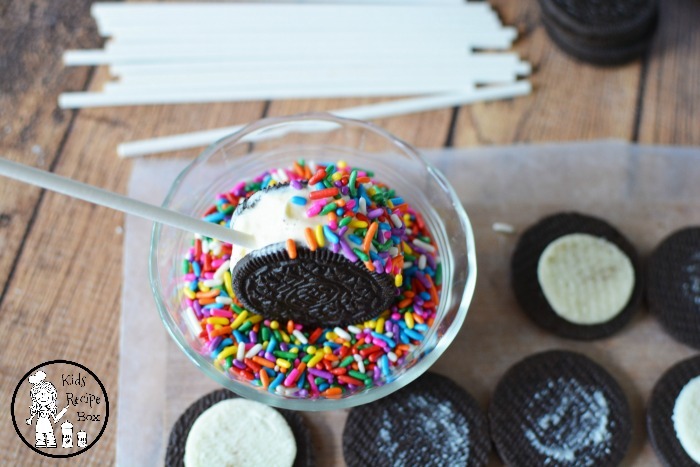 There is an even better ingredient than milk to put with Oreos, though… ICE CREAM! Oreos taste out of this world when you put them with ice cream! Now you can create this awesome, out of this world combination in your own kitchen. Better yet, have the kids make them. 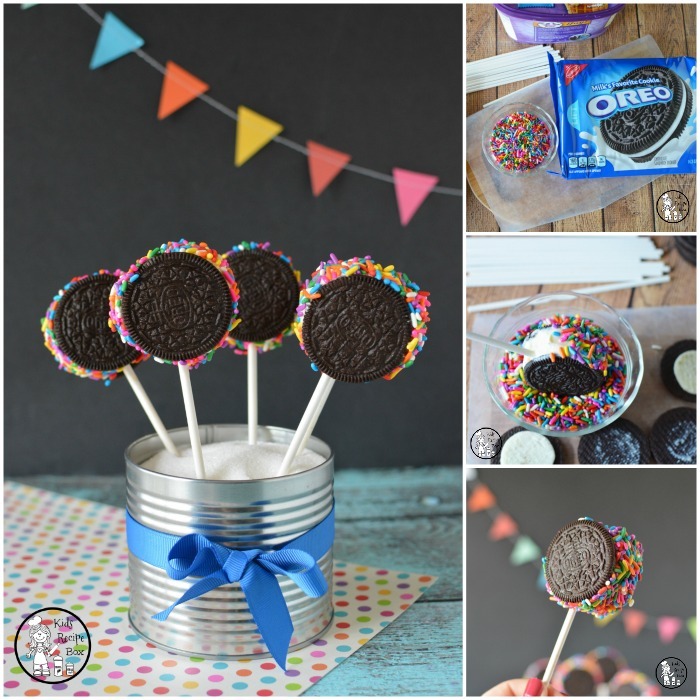 This Oreo Pops recipe is really that simple! 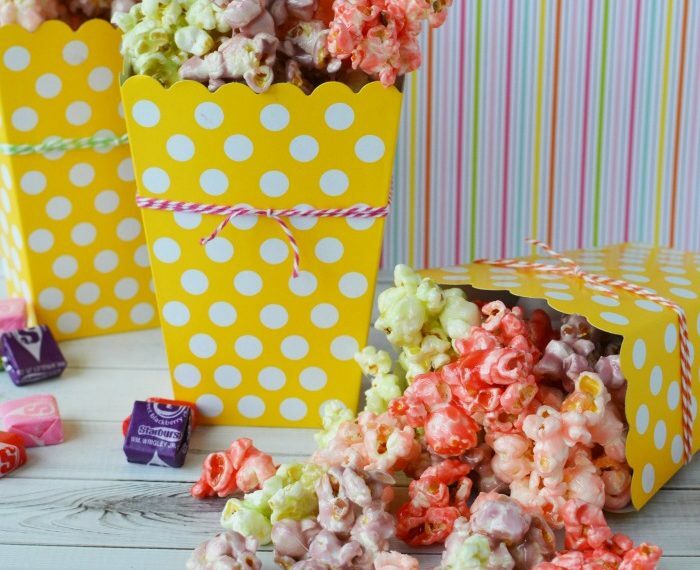 If you have a party coming up these would be perfect to serve. 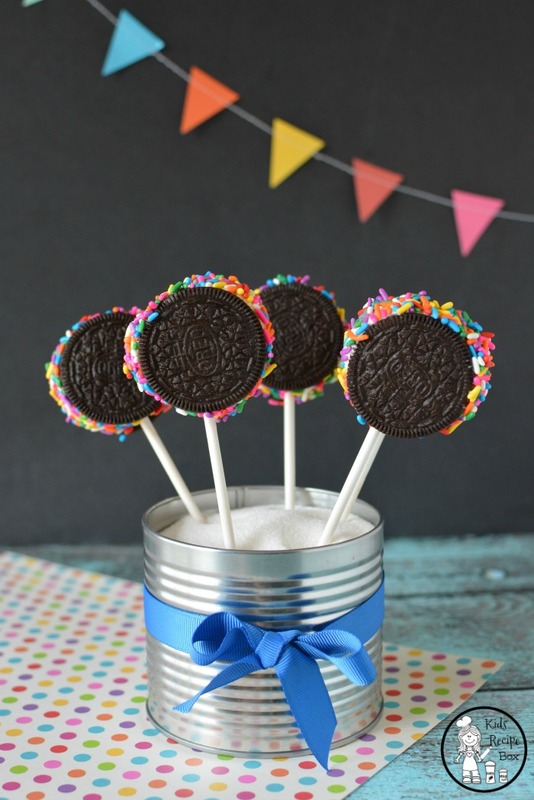 Those cute Oreo Pops covered with sprinkles would add a festive touch to any table. 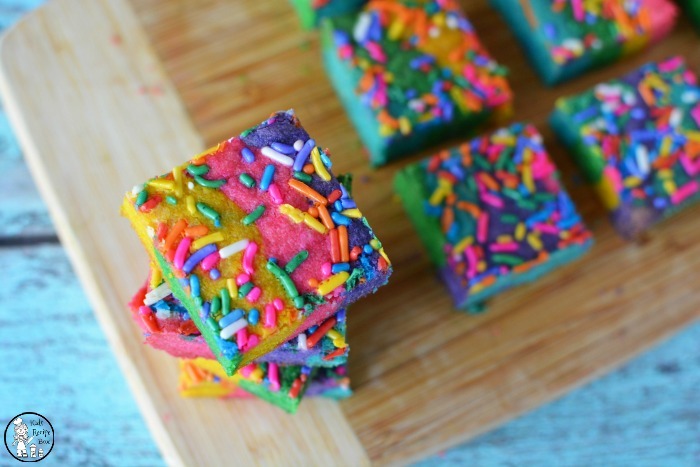 If sprinkles aren’t your thing, you could just use some different toppings. Toffee bits, coconut, chopped nuts, chocolate chips, and mint chips would all taste great. 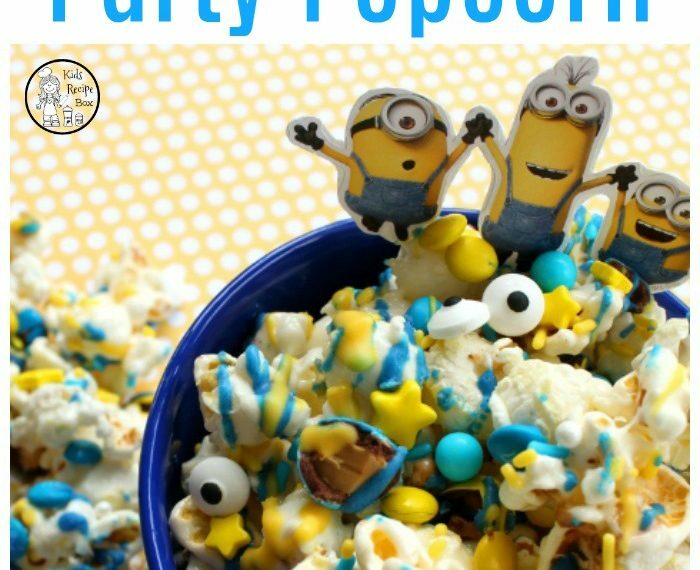 You really can make these how ever you like! 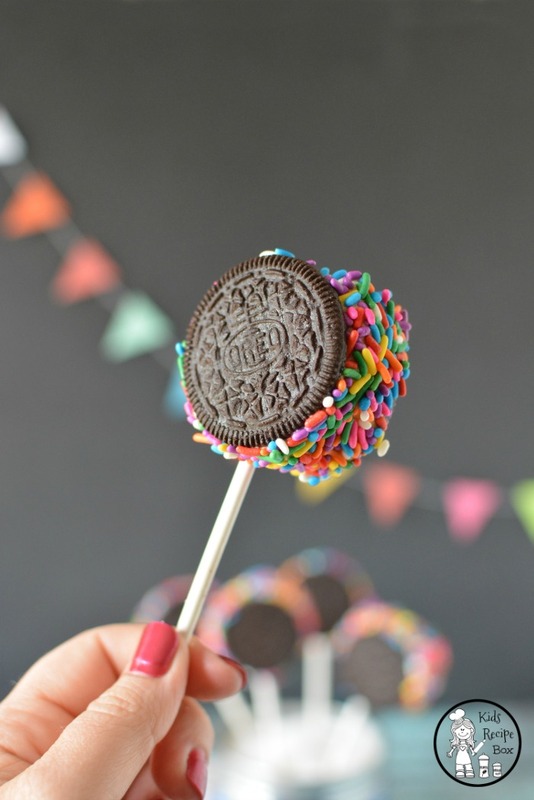 This Oreo Pops recipe is definitely worth trying! Note: clear a space in your freezer for the oreo cookies. 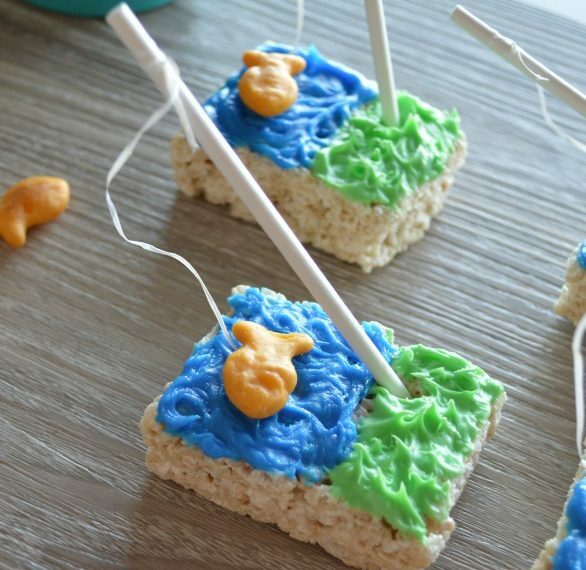 Place them onto a plate, baking sheet or cutting board on a flat, level surface in the freezer. Remove the ice cream from the refrigerator and let set for about 10 minutes on the counter. You need the ice cream to be a little bit soft, but not too soft. Place a small scoop of ice cream on the center of one side of an oreo. Place a stick in the center and press it into the ice cream. Place the remaining oreo on top of the ice cream. 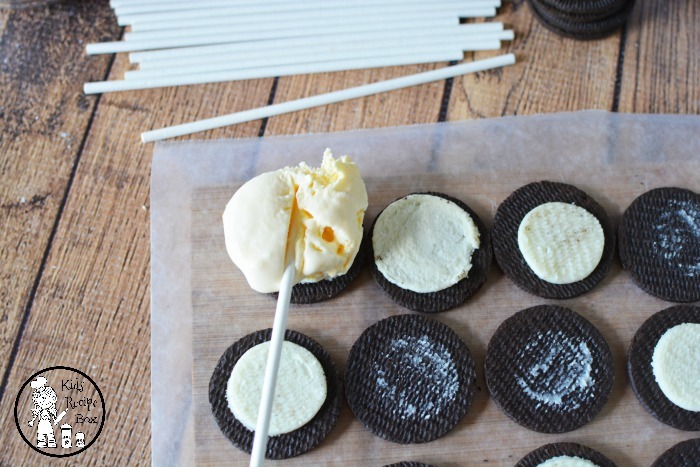 Using the back of a spoon, smooth the ice cream around the oreo. 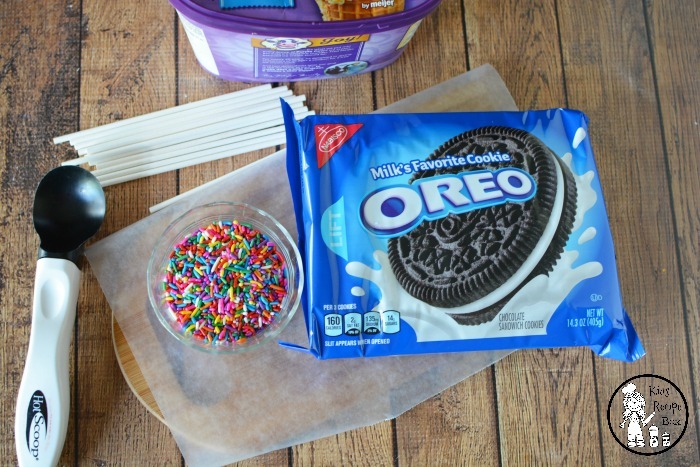 Immediately dip the ice cream edges into the sprinkles and place into the freezer. 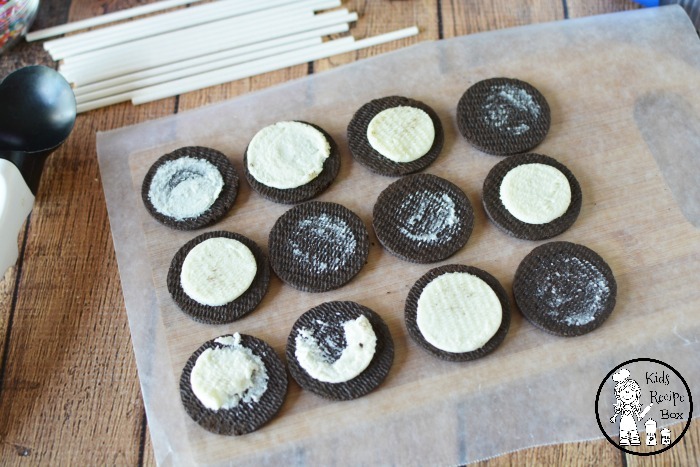 *Alternately you can place the ice cream in the center of the oreo and replace the other cookie. 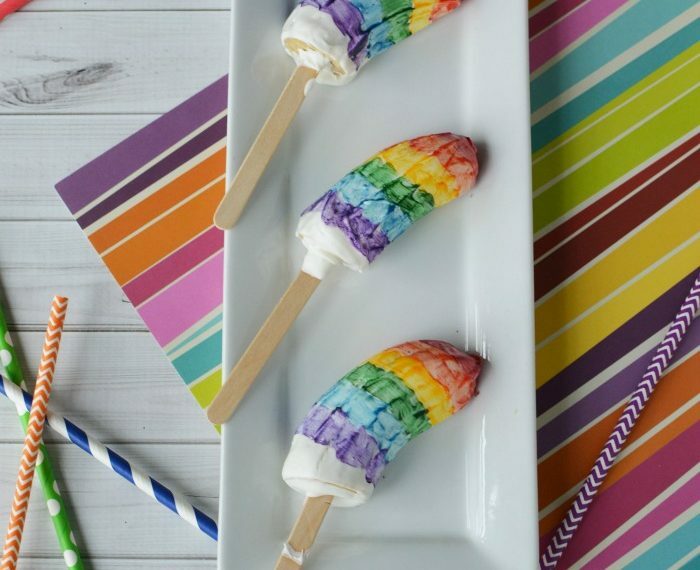 Then dip into the sprinkles and place a stick into the ice cream. There you have it! 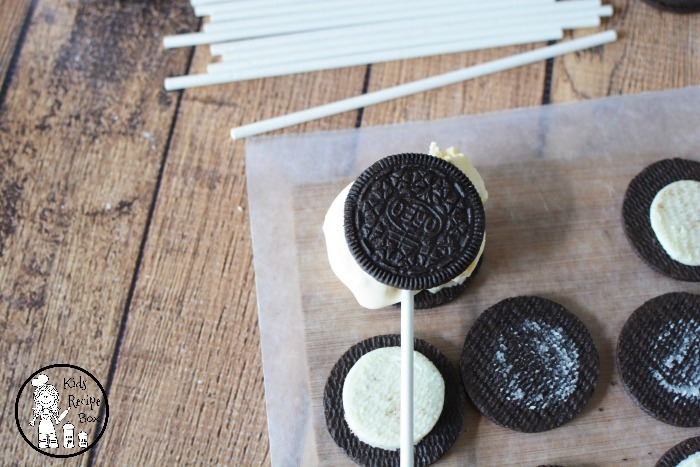 A simple way to make a treat that tastes out of this world…Oreo Pops!